What has Wolfgang Palm got up his sleeve? 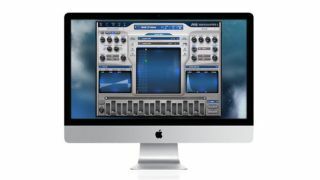 Legendary synth designer Wolfgang Palm is teasing a new PPG synth for Mac and PC. We don't even know its name yet, but a small screenshot on the PPG Apps Facebook page is accompanied by the words 'Easy Tiger', so maybe that could be some kind of clue. The synth is said to offer "Powerful, sophisticated, deep, rich sounds with an interface that makes sound creation simpler than ever before." Sounds good to us, particularly when you bear in mind the high quality of PPG WaveGenerator, Palm's previous plugin outing. We'll bring you more details when we have them.